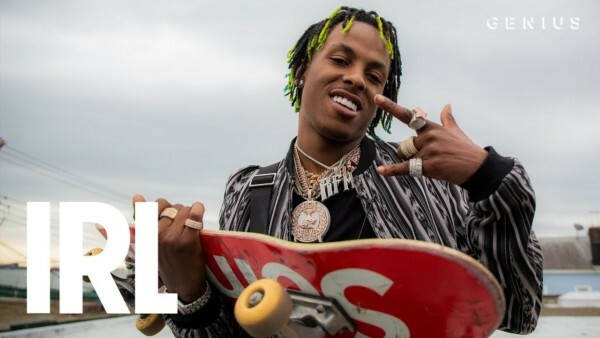 Rich The Kid touches down at the skatepark where be speaks on his new album and being a CEO. Atlanta rapper Rich The Kid recently capitalized on the buzz of his singles “Plug Walk” and “New Freezer.” The release of his debut album “The World is Yours” entered at No. 2 on the Billboard 200. Also, to give the inside scoop behind the project, he met up with Rob Markman. After a skateboard demo at 50/50 Skatepark in State Island, Rich The Kid shared the process behind his album. He then revealed what it’s like to be the CEO of his own label, Rich Forever. Rich The Kid also also touched on his current issues with Lil Uzi Vert.